I am excited to show you how easy it is to set up a blog with MLSP Sites. As the newest addition to My Lead System Pro, this new blogging platform is powered by WordPress and has everything you need to get started. Making a blog is super easy with MLSP Sites. I set up this blog today and it only took a minute to get it started. After that I had fun exploring all the amazing tools that My Lead System Pro included. If you have been hestitant about building your own blog because you thought it was too difficult, this will change all that for you. MLSP Sites is available now! Grab your membership and start building your blog! In fact, check out this video where I show you how I set mine up in just a minute! Did you have a look at the video? Was that simple or what? 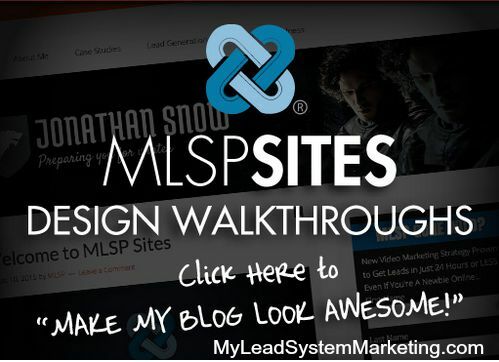 MLSP Sites is included for all My Lead System Pro Members. It’s a beta release at the moment and should be available in the next couple of weeks. This is a perfect time for you to find out if this marketing system is a good fit for you. You can find out by taking the 10-day test drive. MLSP Sites Training Portal – step-by-step WordPress tutorials to get your WordPress blog set-up! There are step by step trainings and tutorials on how to setup anything on your blog. I went through many of the trainings and everything is explained very well. WordPress Themes – there are over 24 professional themes to choose from. Most of them are from StudioPress, a theme developer that I’ve used for years on my other blogs. They are beautiful and easy to work with. Even I can do it! The Best WordPress Plugins – OK, I lost count of all the amazing plugins that are included! Some of these include Facebook comments, opt-in forms, shortcode links, related posts, MLSP call to action, MLSP media and so many more (check the video above). They really make is simple so no more excuses of why you can’t have a blog! And here’s the best part. You’re probably wondering … what the heck should you blog about? 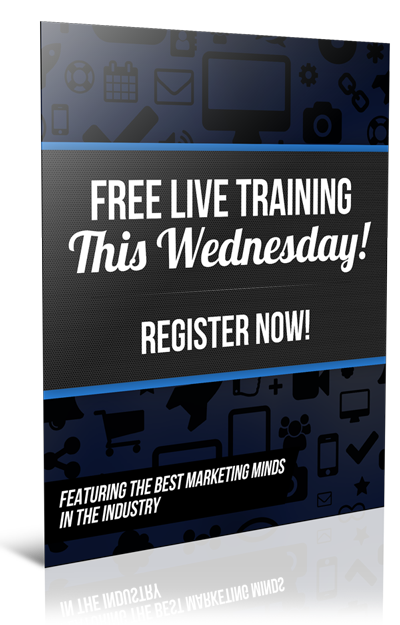 With all the world-class training and education inside MLSP, you’ll never run out of content. When you watch a training and learn something new, just take notes and write a blog post about the new marketing strategy you learned. As you put these Internet marketing strategies into action, you’ll have even more blog content to write from your own experiences. Grab your MLSP 10-day test drive now and check it out! MLSP Sites is available NOW.